Tecnocurve has quality certification with the CSQ trademark and ISO 9001 since 2001, making it indispensable to have an organization focused and targeted on an accurately programmed production progress. Raw materials arrive at the plant and are subject to dimensional and qualitative controls that certify their conformity; this procedure is essential to guarantee the clients a uniform product so as to make the best use of the numerically controlled machinery of the latest generation. Controls are carried out in reference to the manufacturing specifications of the materials, to prevent problems on the finished product caused by improper characteristics of the materials at the outset. 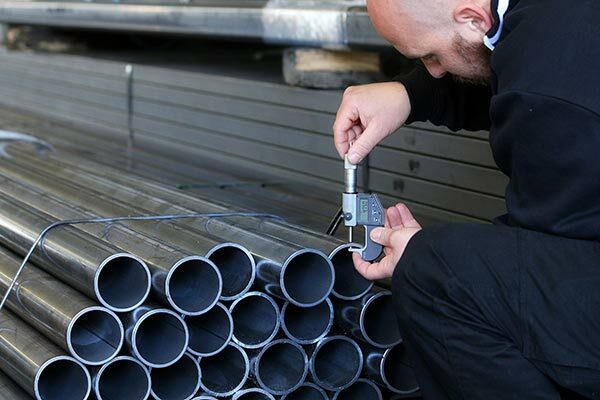 It is important to note that the company keeps a regular stock of about 5 tons of pipes in a range of standard sizes so as to meet the needs of the clientele for rapid deliveries, often being able to eliminate the lead time necessary for procurement. A network of suppliers has been organized so as to enable the company to quickly locate any sizes not in stock. 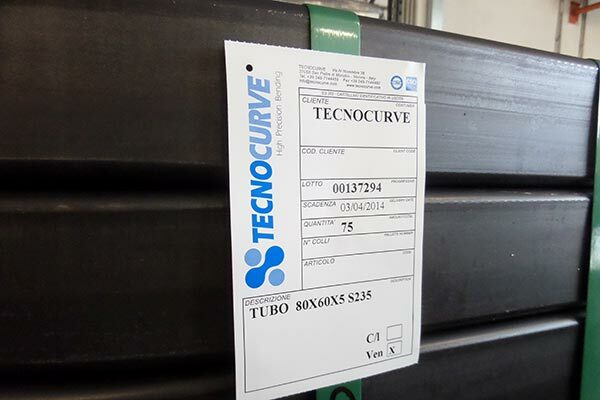 The traceability of materials for completion of the finished product has become an essential element and, with the aid of the certification issued by the suppliers, and a modern internal system of order management, Tecnocurve can, at any time, satisfy the demands of its clients regarding production processes, the material used and all the in-house processing stages. 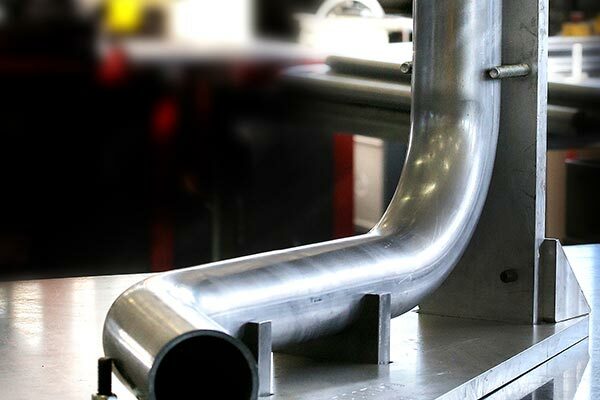 Another fundamental aspect regarding quality is absolute respect of the tolerances given by the client; this process is facilitated by a control template used in the bending and welding stage, so as to obtain a product of guaranteed and certified quality. Careful management and modern planning of the production process, as well as attention to esthetics, especially in processing particular section bars, are further proof that Tecnocurve guarantees products according to much higher than average quality standards. 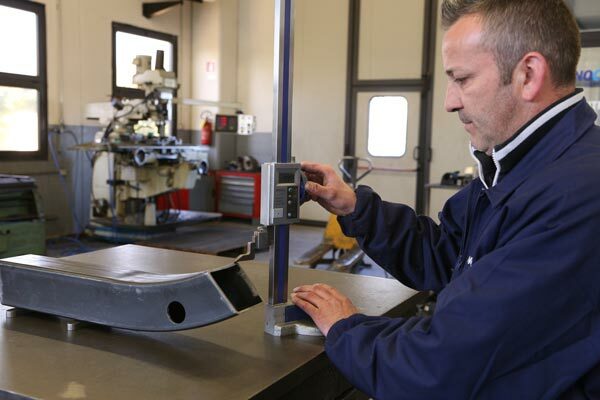 On request, Tecnocurve, also performs in-depth controls on the parts ordered, certifying the measurements made in a special internal control report. Level 2 inspections are made with sonograms and/or magnetoscopic exploration. 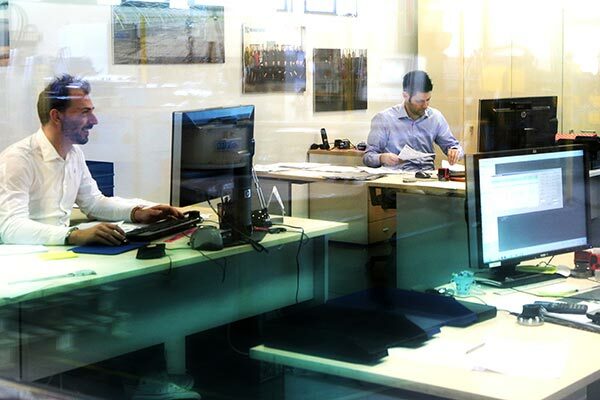 The importance of customer satisfaction is demonstrated by Tecnocurve, not only in the meticulous engineering and design stages and production of the finished product, but also in the technical support provided after shipment of the parts. Any alterations, recommendations relative to the production of future supplies and problem solving after sales are an added value that Tecnocurve supplies gladly in order to improve every day. All packing materials are identified by a label containing all the information necessary so as to control and speed the activity of storage by the clientele. 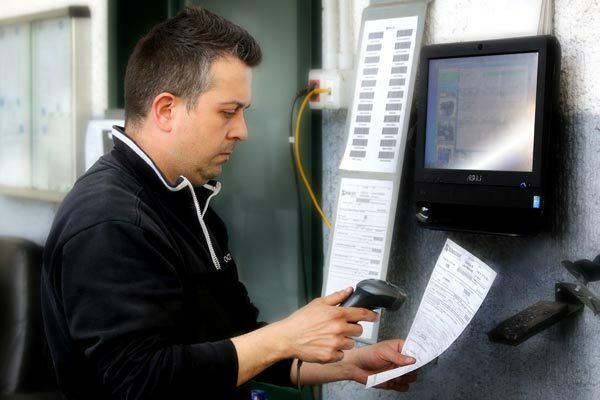 This facilitation ensures that all the products are digitalized and traceable at any time. Packing, handled in a workmanlike manner with heatshrink film and strapping, ensures that the products can be shipped without damage and guarantees their total safety during loading and unloading, also for shipments made abroad. Nothing is left to chance and clients can rest assured that shipping is organized well in advanced, with all the data necessary including weights and measurements where required.